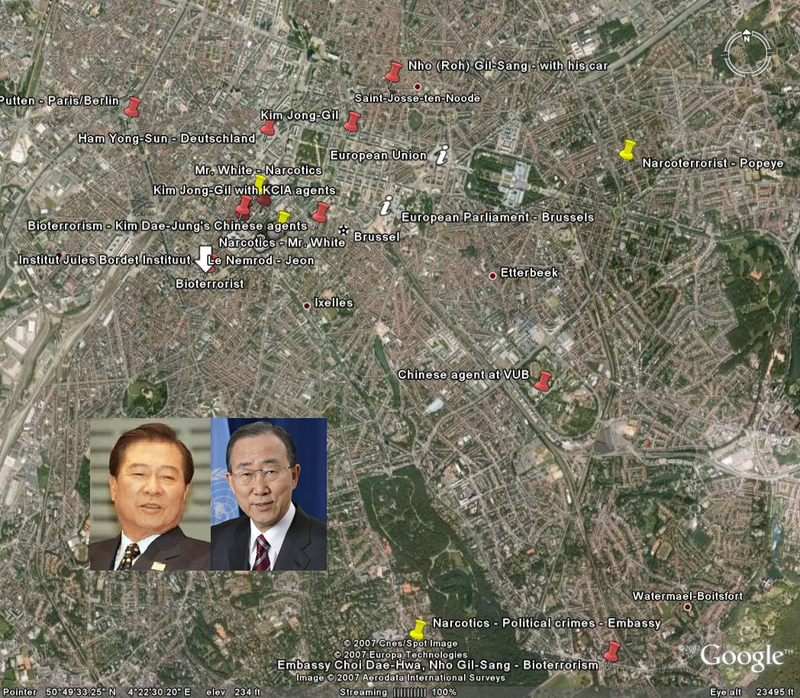 President Kim Dae-Jung tried to kidnap and murder me using the 2000 km cycling event between Paris and Berlin that was held to help North Korean children with tuberculosis, to which philanthropic organizations in Europe participated immediately after the June 15 North-South Korean Joint Declaration made at the North-South meeting and summits in Pyongyang from June 13 to June 15, 2000. 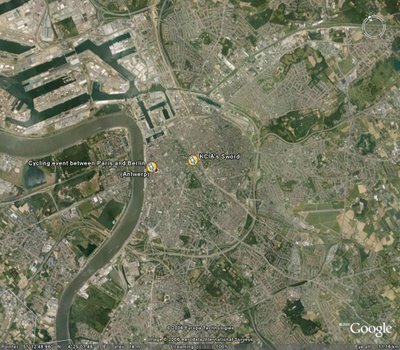 As the date to commemorate the Korean War of June 25, 1950 was approaching, they attempted to kidnap and murder me while bicycles were passing by in Antwerp, as it had not been easy in Brussels. Their political reasoning for this was that the government had a necessity to creat an extreme rightist. They tried to murder me again after having attempted to destroy me with drugs etc., after Bae Yang-Hong’s accused me of being leftist and called me North Korean. As the conspiracy failed despite the use of drugs, the hands of professional killers that had been waiting for a long time, and that were quiet for a while, approached me again. They used the event that was supposed to help North Korean children with tuberculosis. Mr. Paid Well who was part of the organization that falsely accused me as an extreme rightist during the cycling event, conspired with one person of the political oppression force including Bae Yang-Hong and agent Jin who at the end of 80’s accused me as a leftist and made me a sufferer. (Among them was a person who made me intoxicated with drugs, and he laughed openly at Av. De la Toison d’Or at the fact that I was intoxicate with KCIA’s drugs). It was confirmed later on that another person of the political oppression force of the end of 80's became a consultant for a public agency and a professor emeritus. Vice Minister rank Ambassador Choi Dae-hwa of Ministry of Foreign Affairs and Trade was a person who formally belonged to the highest stratum of the group that was involved in the kidnapping and murdering conspiracy at the location. People used to say that he would become a Minister of Foreign Affairs and Trade after going through Vice Minister rank Ambassador in Brussels. The second section of the 2000km cycling event between Paris and Berlin is from Brussels to Amsterdam. Brussels and Antwerp are in the second section of the event. President Kim Dae-Jung cordially invited Kim Jong-Il of North Korea to visit Seoul, and Kim Jong-Il decided to visit Seoul in due time in the future. 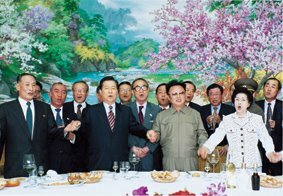 Will political condition for Kim Jong-Il visit become mature and will a proper visit time come if one citizen falsely accused to be an extreme rightist who would assassinate Kim Jong-Il is kidnapped and murdered? What does the People’s Government of President Kim Dae-Jung get from the North-South dialogue, if it kidnaps and murders its own citizen that is falsely accused of an extreme rightist that might assassinate Kim Jong-Il? What is the meaning of kidnapping and murdering its own citizen by falsely accusing him of being an extreme rightist, in promoting mutual understanding, developing North-South relations, and realizing peaceful unification? Does President Kim Dae-Jung have a right to kidnap and murder a citizen by re-defining him as extreme rightist, while he himself was once accused to be leftist and was oppressed in a foreign country? What did the President Kim Dae-Jung, who said “let’s melt the ice wall of the Cold War with sun shine, and move forward to unification, while North and South live together and develop, mutually reconciling and cooperating”, say was the reason for creating a political prisoner and manipulating regional conflicts for the national unification and peace? 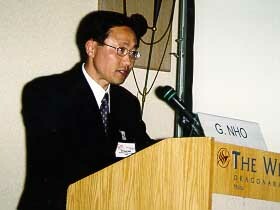 The sense of reality of President Kim Dae-Jung was beyond my imagination, as he falsely accused a person as being anti-government because that person did not agree with his own political thoughts, conspired even in the embassy of the Republic of Korea and the mission of Korea to the European Union to falsely accuse a citizen, who had been falsely accused of being leftist, of trying to steal national secrets, and tried to kidnap and murder someone abroad immediately after the June 15 North and South Korean Joint Declaration by mentioning the assassination of Kim Jung-Il and re-defining him a citizen as extreme rightist. 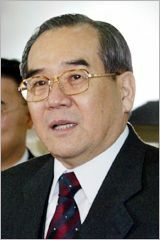 At that time, the Chief of the National Intelligence Service who is said to be running “errands” for the President was Lim Dong-Won, who served as Chief of Foreign Affairs and Security of the Blue House and Minister of Unification, who was particularly trusted by President Kim Dae-Jung, and is currently the Chairperson of the Board of Directors of Sejong Foundation. When the conspiracy to kidnap and murder failed, those who attempted to kidnap and murder looked at me for forgiveness through agent M after I returned to Brussels. Agent M asked my forgiveness, saying that there was a pastor who forgave a North Korean soldier that killed his own son during the Korean War. After a while, Mr. Paid Well who sat on the seat where agent M had been sitting threatened me by mentioning Chung Song Military Prison. He intensified the degree of threat, saying those who have been to the Chung Song Military Prison are not normal even after they come out alive, and that he saw it when he was in the military. 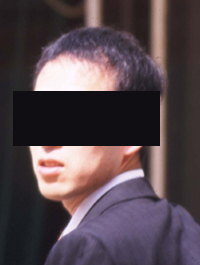 Counselor Jung Kang-Hyun of the Embassy, who is a member of the diplomatic staff, devoted himself to the conspiracy of kidnapping and murdering me. He described a weapons smuggler as a crazy person. The weapon smuggler said that he could get any kind of weapon and that he would supply weapons. To make matters worse, he added certain information that might be considered as a Korean national secret at that time. Even when I was approached by such a person who said he would supply arms to the Korean peninsula, counselor Jung Kang-Hyun was in a hurry to make me leave the embassy that day. Even after that, they tried to kidnap and murder me numerous times. 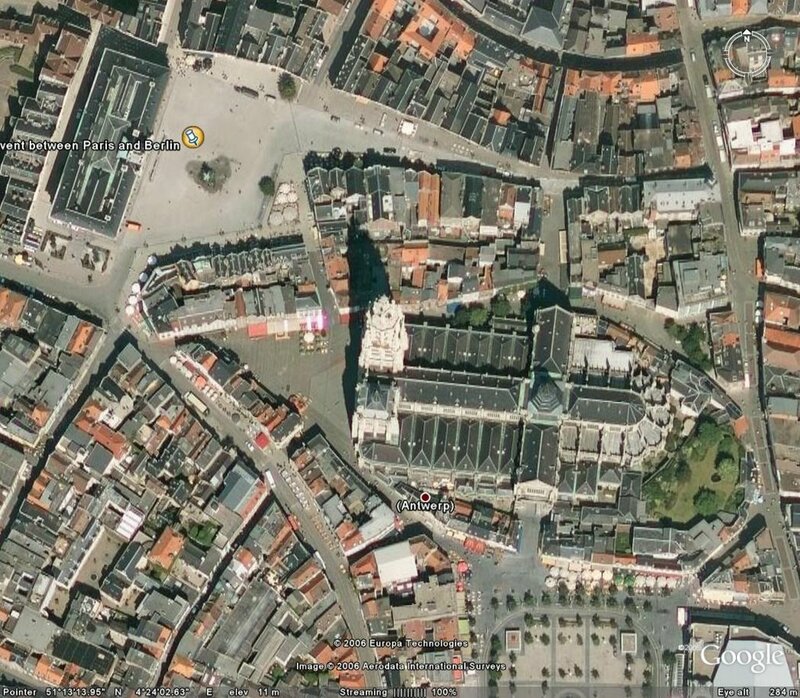 An example is the attempt to murder me by mobilizing a swordsman at a restaurant in Antwerp. Many people were mobilized to cover up the murder conspiracy on this day. The person who was sitting in front waiting for the right moment to murder me was a person who said he dealt only with big things. At the table of the restaurant where the electricity was going on and off frequently because there was a problem with the electricity safety valve, I was sitting facing a murder expert who was waiting for a time to kill me, someone said he was specially trained for that. When the light went off from time to time, there were several local people who were very strongly built behind me in secret, and there was a person from a third country who said he could do the work of few people all by himself. The swordsman who was swallowing rare-cooked beef without chewing it repeated there were too many people in the restaurant at that moment. He was waiting to kill me. I was sitting in front of him, calmly watching him and his team and waiting for their action. I thought about strange people who say that I am against the government if I support the opposition party, and those whose job is conspiracy, who would even attempt murder by accusing a person of being anti-government and made him a political prisoner if he did not agree with the political thoughts of President Kim Dae-Jung, who had been a political leader of the opposition party for a long time. I realized that a person who would kill me to get paid could come from the other side of the globe with the purpose to kill, and I watched as the person sat in front of me waiting for the right opportunity. It was a long wait, but they gave up the attempt to murder me saying there were too many people in the restaurant. I could easily recognize the face of one person among those who appeared to cover up the scene. He was Mr. Wise. He called the rest of the people who entered there with him his colleagues. It is Mr. Paid Well’s errand man, and is the person who was by my side when I woke up after losing consciousness due to Mr. Paid Well’s drugs in June 2001 at Mr. Paid Well’s residence. This person was around Mr. Paid Well even recently. 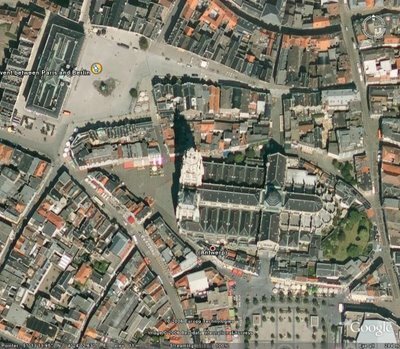 Another murder attempt that President Kim Dae-Jung prepared in Antwerp through Lim Dong-Won, the Chief of the National Intelligence Service: the spot they told me to have fun at was the spot where they were supposed to kill me. It was midnight when I returned to Brussels by train. Conspiracy and threats continued in other locations as well. 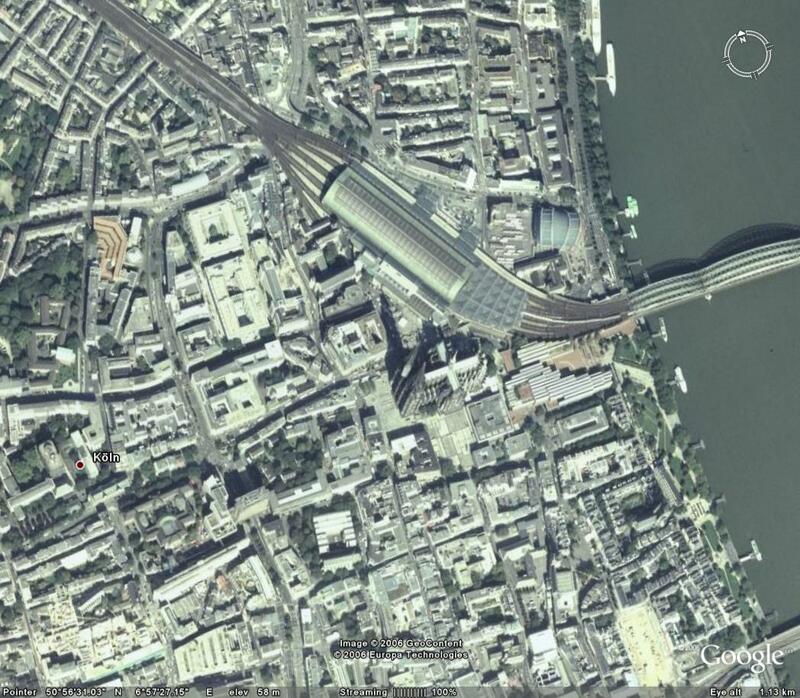 As I was watching the grand plaza on Ernest Allard Street of Place Poelaert in front of the Supreme Court in the evening four unidentified adult families and Kim Jong-Gil’s family approached me. Among these unidentified four adults, an elderly male adult said I was not listening. It is the same thing Ham Yong-Sun, who appeared to lure me to Western Germany, said at a restaurant near the grand plaza. After Kim Jong-Gil looked out for the situation turning around to see even further, his wife determined that the kidnapping attempt failed and she let children play ball, and the children were acting like machines. Theirs were joyless and tense faces that can hardly be found among children. 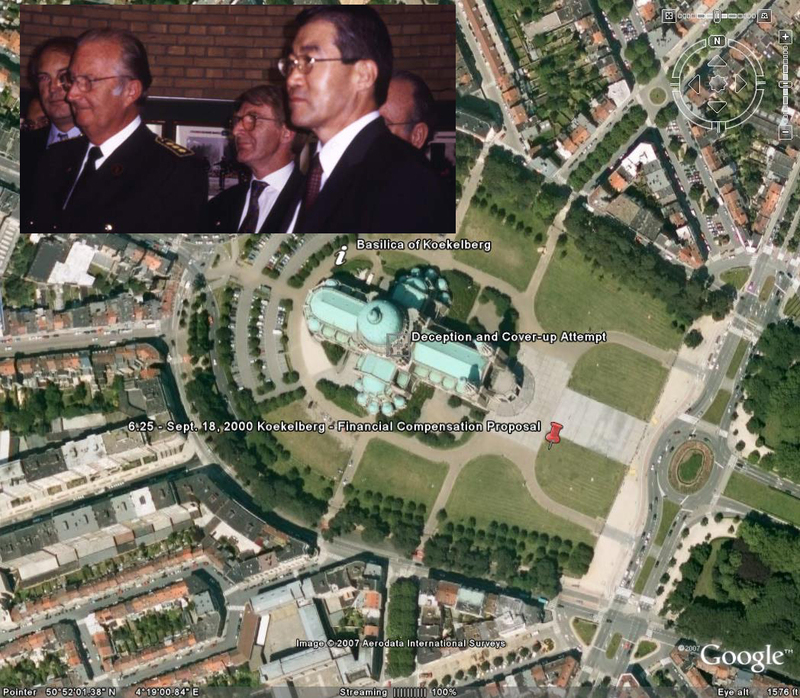 Kim Jong-Gil left Brussels after an event to commemorate 6.25 at the Grand Cathedral. Ambassador Choi Dae-Hwa was there also. The last word Kim Jong-Gil said as he was taking the airplane was “Blue House”. It was an unintelligible answer which was not responsive to my question. It was the beginning of something different. Before he left, Nho Gil-Sang and his colleagues (etc.) said that to eat is to gain, and said that a big compensation would be paid. Mr. Black Suitcase, a member of diamond smuggling crime organization, conveyed words regarding the compensation to conceal terror as if he were a spokesperson of councilor Jung Kang-Hyun. Mr. Paid Well said President Kim Dae-Jung sent money to North Korea for the amount of billions, and participated in the conspiracy to harm me. I made Mr. Paid Well’s conspiracy impossible through councilor Jung Kang-Hyun, and they said again through councilor Jung Kang-Hyun that they would pay an economic compensation. However, I refused to accept their economic compensation at the moment councilor Jung Kang-Hyun suggested it. It was not acceptable to allow their cover-up after having seen and experienced their conspiracy. They even committed bioterrorism after numerous conspiracy attempts to kidnap and murder. After the bioterrorism of President Kim Dae-Jung, I left everything and headed towards Atlanta. There was a limitation to how long I could stay in the U.S., and I couldn’t go to Seoul, so I headed towards Brussels where those who were waiting to kill me were. It was late May, 2001. After arriving in Brussels, I talked with Mr. Paid Well and met him. As they said, there were many times when I did not have many choices. This day was one of those. 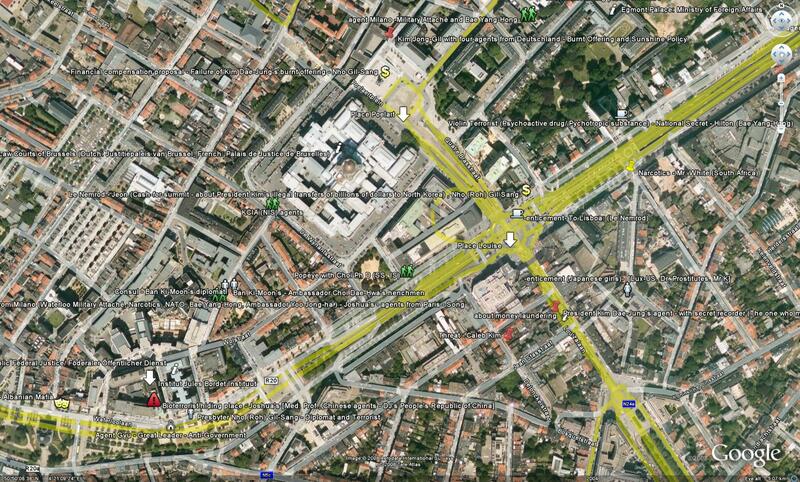 While in Brussels in early June 2001, I did not meet most of them except a few such as Mr. Paid Well or Nho Gil-Sang etc. A few days after I started the hunger strike against those who tried to kill me, Mr. Paid Well suggested economic compensation through someone. The location where the compensation was mentioned was the same place where Mr. Paid Well threatened me by mentioning the military prison when I came back to Brussels after the conspiracy to kidnap and murder me failed in Antwerp around the end of June, 2000. After the hunger strike was over, I purchased an airplane ticket to leave Brussels at 14:40 on June 12, 2001 at a travel shop for 503.27 Euro. Mr. Paid Well carried out a conspiracy to kill me as I was preparing to leave, at a church, mobilizing even his own wife. When I was losing consciousness because of the drugs, Mr. Paid Well put smile on his face, shook his finger left to right and tested how conscious I was. Mr. Paid Well said many people would be there before I lost consciousness, and I asked later on whom they were but he said he didn’t remember. In the evening that day, I, who had lost consciousness because of the drugs, was able to avoid death incidentally thanks to the presence of people who went there to sleep. Mr. Paid Well gave up the plan as unexpected visitors appeared. Mr. Wise. That person appeared again, who was frequently with Mr. 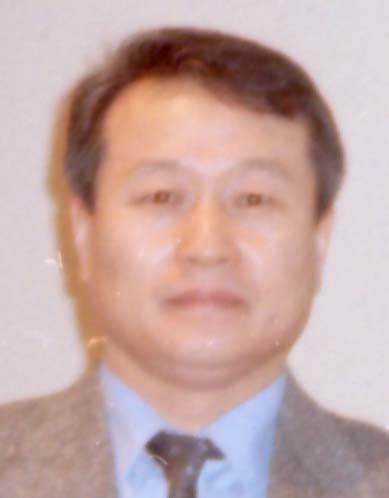 Paid Well and Kim Woo-Chul, whom I saw among those who were mobilized to cover up the conspiracy when the man hunters were trying to kill me at a restaurant in Antwerp 2000 (Diamond Smuggling Network). That’s when I was waking up from the drugs. In early June, 2001, when I refused another economic compensation from them, I quit the fasting protest and tried to leave Brussels, Mr. Paid Well tried to eliminate me again. – A few days after that, President Kim Dae-Jung was having a conversation with leaders from various fields in the Blue House commemorating the one year anniversary of the June 15 North and South Korean Joint Declaration. Gandhi, who would stop the struggle if violence was used, even if he had planned the struggle, was a believer of a strict non-violence principle. It is because he was standing on the solid truth that violence could never justify the goal. Kim Dae-Jung (Leader of Peace and Democracy Party). Hi, I really like your blog. 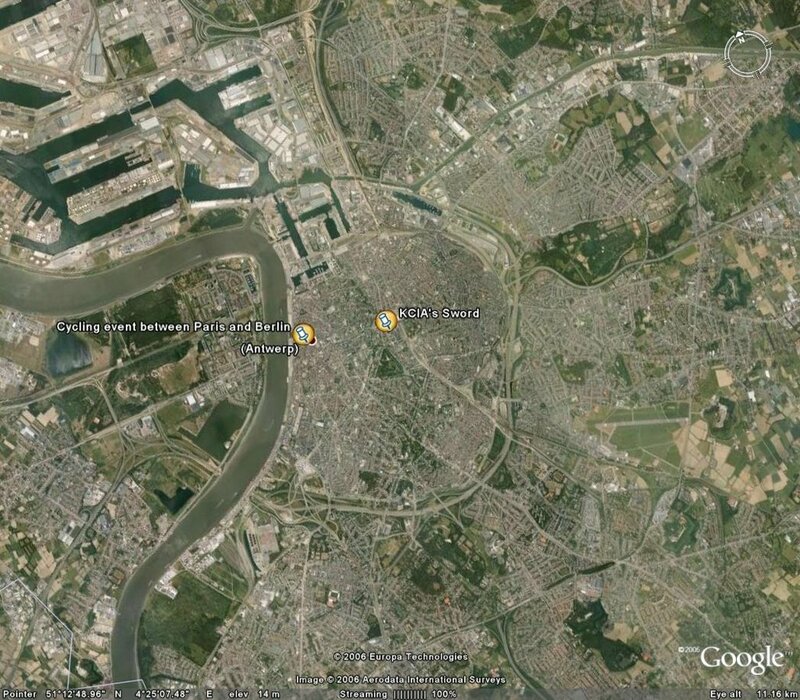 There is this outstanding website regarding map of north korea. You better check it out some time.